I'm a strong believer in the "Laws of Attraction" — sometimes, people magically enter your life in meaningful synchronicity. Yuri and I grew up together in the suburbs of California, but it's only till recently that we re-connected, under such strange circumstances. Her courage, relentless dedication to her work and her gusto for life inspires me everyday. Yuri's story emboldens me and encourages me to evolve, adapt, and continue to become a more authentic version of myself. I hope she inspires the same to you— to shine brightly even during a storm. We prepare ourselves as much as we can for the most essential events in our lives: birthdays, graduations, road trips, weddings, babies, natural disasters. These events often bring change and whether we know it or not, we as human beings are constantly prepared for change. We age another year, we grow our families and careers, we physically change and move to different places, and we are constantly planning and preparing for what is next. But what happens when the unexpected happens? You do what you’ve been doing your whole life: you adapt. And you keep on. "...what happens when the unexpected happens? You do what you’ve been doing your whole life: you adapt. And you keep on." You don’t prepare yourself for illness. Because most of time, you don’t know it’s coming. And when you are in the midst of your youth, you are not prepared for cancer. I was 25 years old the first time I was diagnosed with Stage 3 breast cancer. It was exactly a year since I had moved back to LA from New York and I was very happy with everything in my life for the first time in my twenties. I had an active social life, an amazing job, and I was in the best physical shape of my life. I was comfortable, confidant, and genuinely happy. And then one day in September, my whole life changed. At 25, you think you know enough–but you really don’t know anything. When I look back at that time now, I was so young. Going through what I did at that age and time, I think I had to “grow up” faster than most of my peers. You’re supposed to spend most of your twenties wandering aimlessly, confused, and figuring out who you are–all while having the time of your life. I feel like my time to grow naturally was abruptly cut short and I was forced into a transformation that I wasn’t ready for. But I dealt with the situation as best as I could and I found myself in remission in less than two years since my diagnosis. October 2010, age 25. Part of a series of portraits done by my friend Yunice before I started my chemotherapy treatment. I spent the rest of my twenties trying to navigate myself through a trauma I didn’t quite understand, while still trying to grow into a person and trying to figure out who I was and where I was going. As soon as I finished my treatment, I quit my job, moved to Korea, and began working at a design firm in Seoul. I had planned this move for months in advance because I felt an urgency for change. I was working and living a few minutes from all my hospitals and I wanted to move away from everything that I felt had held me back. But two months into my move, I realized that I was more lost than ever. Moving to a different country and starting a new job was not what I needed. I think I desperately wanted a drastic change in my life and truly believed this move would set a new path for me and give me some kind of direction. But it left me more empty, confused, and disoriented. I lasted three months in Korea before I moved back to LA. "I spent the rest of my twenties trying to navigate myself through a trauma I didn’t quite understand, while still trying to grow into a person and trying to figure out who I was and where I was going." I was just starting to be comfortable again with where I was and who I was when I found out the cancer came back in May of last year. This time, it returned in the form of Stage 4 breast cancer and it had spread to my lungs, brain, and bones. 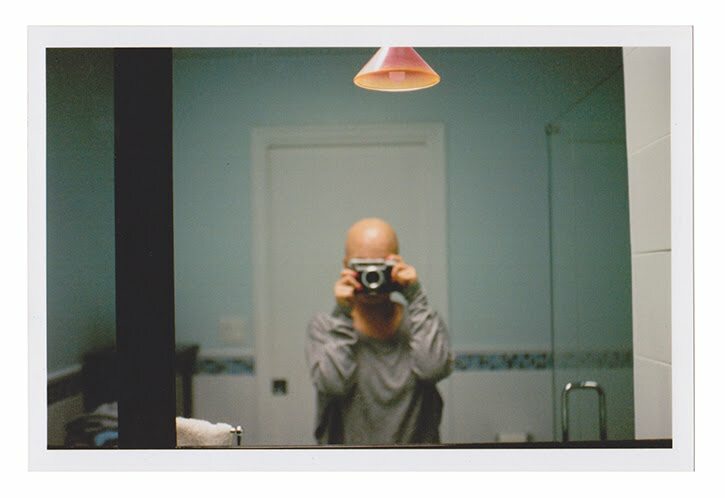 When you are a cancer patient in “remission,” you have a nagging thought in the back of your head about it coming back. Over the course of five years, I have thought about it again and again. But at the same time, I really didn’t think it would or could happen. So when I found out about my diagnosis, there was a conflicting reaction of feelings: Of course, it came back and Oh my god, I can’t believe it came back. In a way, I think I was somehow prepared for it. Five years ago, I was working full time and continued to do so throughout my treatment. Aside from entering my thirties, the biggest change was within my work life. After coming back from Korea, I decided to take a big leap and go freelance. I started freelancing in 2012, and since then I have accumulated a steady work load and have built a work life that I control and love. I’ve grown so much through working as a freelance designer: I’ve learned to say “no,” how to ask for things, and how to manage and value my time. Being able to have a steady income and depending completely on my work and myself gave me a confidence and sense of leisure that I didn't have when I was 25. This sense of ease played a big part in how I chose to react to my cancer coming back. July 2012, Korea. July 2012, Japan. There is that initial feeling of shock and disbelief. I looked up “metastatic breast cancer” on the internet and learned that there was no cure. More shock. Then panic. I’ve never felt that kind of panic and fear in my life. Those few minutes in front of my computer seemed like an eternity; and your life really does flash by you. My thoughts were running a mile a minute and for a moment, I was completely lost in the world again. Clichés are clichés because they are mostly true: what doesn’t kill you, makes you stronger. Somehow I pulled myself together and I did the only thing I could do: adapt. And move forward. The first time I fought cancer, I chose to do it alone. I knew what I had to do, and I did it. And I did it my way. It was a private experience but I still wanted to share it somehow through design. So while I was in treatment, I was inspired to create greeting cards for cancer patients. I named this project A Happy Talent taken from one of my favorite quotes from Emerson: It is a happy talent to know how to play. I started A Happy Talent with one of my best friends, Jackie, in 2011 but it was in a deep limbo for four years while I was putting my life back together. It’s amazing how creativity guides you through the different stages and experiences in your life. If A Happy Talent is what pulled me through cancer the first time, Notes To A Friend is what is saving me this time. (left) Initial design for one of A Happy Talent cards from 2011. (right) One of the final cards for A Happy Talent made this year. July 2015. (left) During my first round of radiation for my brain. (right) Getting ready to shave my head. Writing has been a medium I’ve always been interested in. During one of my most memorable interviews with a prominent figure in the editorial design world, he asked me, "What would you be, if you were not a designer?" And I replied, "I would be a filmmaker." Then he asked, "What would you be if you were not a filmmaker?" And I said, "I would be a writer." He fondly replied, "Me too." Just those two words from him gave me so much validation–and at 22, that meant the world to me. I always knew that I would want to write something one day that I would share with an audience. But until now, it was something I only did privately. I once heard that you should write what you know; and that’s exactly what I did through Notes To A Friend. It wasn’t difficult to put those thoughts and words together because it was the truth, and it was everything I felt and understood so deeply. "Last May, I made a choice. I chose to live as hard as I can; and I chose to include as many people as I can to share this experience with me. I chose to share my story." Last May, I made a choice. I chose to live as hard as I can; and I chose to include as many people as I can to share this experience with me. I chose to share my story. Notes To A Friend gave me back the lost confidence I needed to keep moving and provided me with an unimaginable support system to root me on. A path I could not have predicted or prepared for has been paved in front of me; and each stride forward has been a step closer to realizing what it really means to own your life. The response I have been receiving from Notes To A Friend has been such an inspiration to me. People near and far, friends and strangers have graciously welcomed my candidness and have played such a great part in my journey. 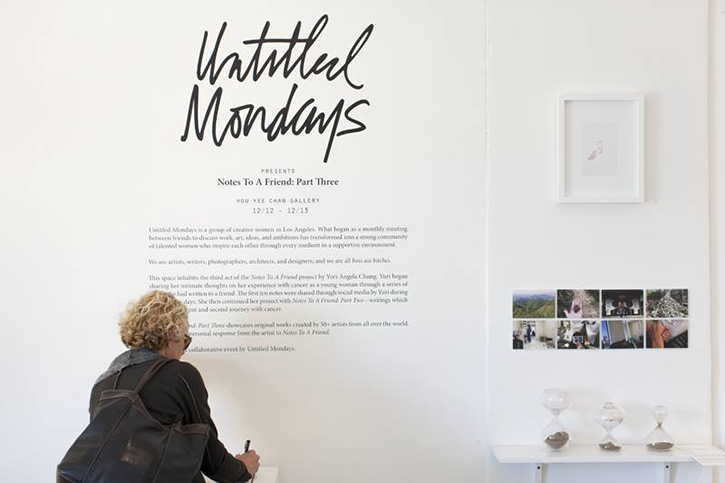 A couple years ago, my good friend Yunice and I started a creative group called Untitled Mondays. As two creative women living and working in LA, we felt like there wasn’t a community where we can share our ideas, connect, and collaborate. 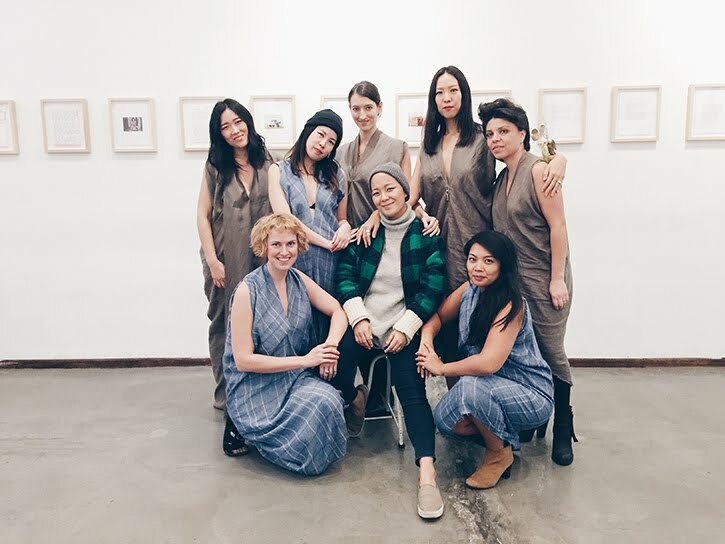 Untitled Mondays is now made up of a dozen talented women from all mediums and they have been the greatest gift to me during this time. Because of these amazing individuals, I was able to take Notes To A Friend to a completely different level. 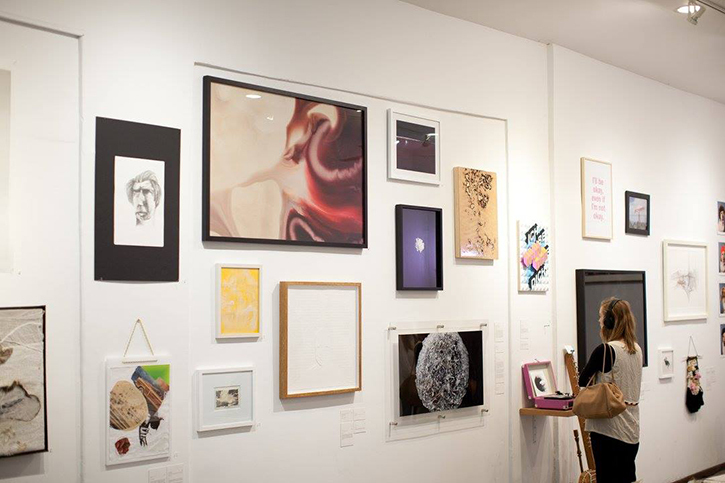 In December, Untitled Mondays made their first collaborative effort through Notes To A Friend: Part Three–a physical experience in a space which included original artwork from 50+ artists who created pieces in direct response to Notes To A Friend. The show lasted for two days, and those two days were life-changing. Even in my wildest dreams, I never imagined that my words would evoke such a meaningful event that would bring so many people together. "We have much to share with each other as artists, women, and humans–and I can only imagine what kind of stories our history will tell one day." Everyone involved with the show received such a high from the whole experience and the momentum hasn’t stopped. 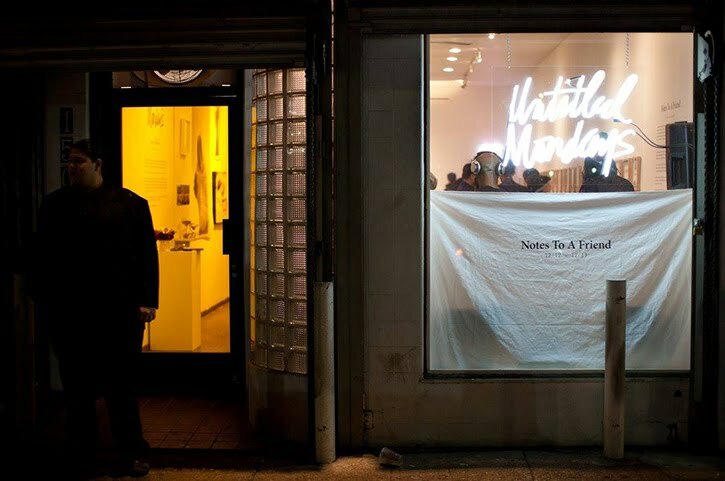 Untitled Mondays started off the new year by collectively pitching in for a studio space in DTLA. This space represents all of our hopes, dreams, ideas, ambitions–and most importantly–it embodies an unknown creative path we are all craving and ready for. We have so much to share with each other as artists, women, and humans–and I can only imagine what kind of stories our history will tell one day. December 2015. Me and some of the ladies from Untitled Mondays. "Change is inevitable. There are surprises; accidents happen; and sometimes, cancer happens. But we always have a choice. Nothing is ever just black or white–because we are so much more complex than that." Change is inevitable. There are surprises; accidents happen; and sometimes, cancer happens. But we always have a choice. Nothing is ever just black or white–because we are so much more complex than that. And so much more capable. I am living proof of this: even Stage 4 cancer did not (and will not) stop me from living the life I am meant to live. 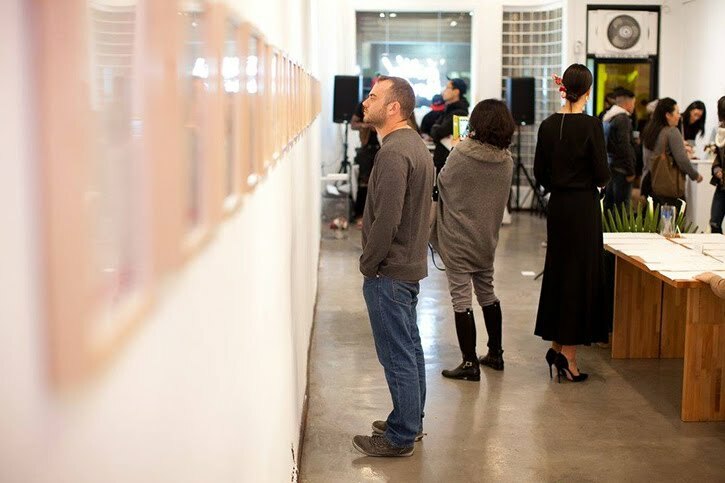 The most important thing for me as an artist, and more so as a human being, is to be able to share experiences with as many people as I can, and to connect in as many different ways as I can through these encounters. We are all a witness to each other’s lives. And in union, we should all be held accountable for the lives we choose to build. I needed to read this today. Am at a loss in a bad part of life and was getting ready to wallow. But wallowing doesn’t bring me any joy or solves my problems does it? And all it does is bring the people I love down with me. I’ll put a smile on my face today and hopefully it’ll be a genuine smile tomorrow and for many more tomorrows. And I’ll reach out and ask for help, or just a willing ear rather than swallowing it all down. i literally just finished reading this article and i cant put into word how sad yet encouraged. you are truly an inspiration to me. my prayers go out to you and i hope that in the face of adversity, that i will be able to tackle it head on the way you have. you’re a hero, yuri!